Phan-Lê’s intimate narrative and exploration of humankind’s vanishing cultures will intrigue and inform a wide readership. 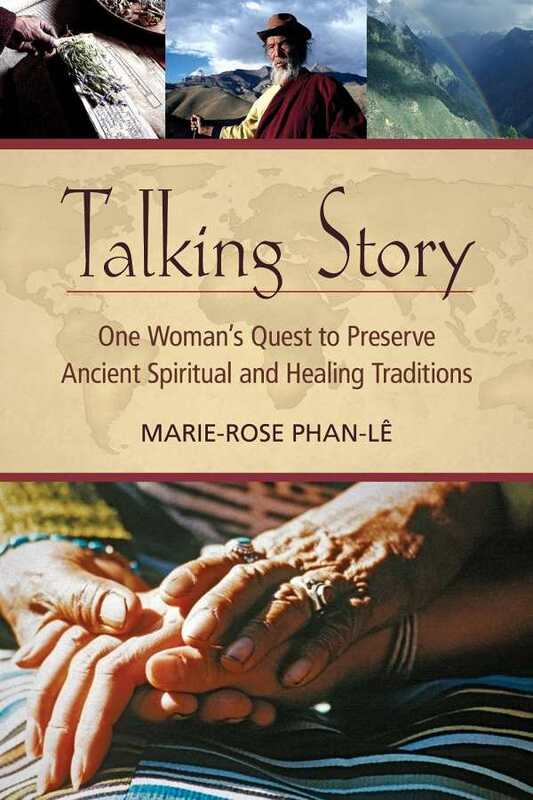 In Talking Story: One Woman’s Quest to Preserve Ancient Spiritual and Healing Traditions, a companion to the 2011 documentary film of the same title, author and filmmaker Marie-Rose Phan-Lê documents the healing traditions of indigenous cultures worldwide. The book is more than a chronicle of centuries-old practices in danger of disappearing because of globalization, cultural assimilation, and deforestation. Talking Story is Phan-Lê’s memoir of self-discovery and transformation, and it exemplifies the human desire to know one’s inner self. Traveling to Hawaii, Nepal, Vietnam, India, China, and the Peruvian Amazon, Phan-Lê and her film crew seek out healers and spiritual masters willing to share their traditional wisdom and be filmed performing their healing rituals. Some ceremonies have never before been recorded or witnessed by the filmmakers; others, such as a medium’s channeling of a deity to receive advice about curing a patient’s illness, are familiar—especially to Phan-Lê, who comes from a family of mediums and seers. In fact, Phan-Lê possesses the gift of healing, an unreconciled aspect of her being that she confronts during her travels and which serves as the critical internal conflict that spurs her self-awareness. Heeding this incitement, or “call to adventure,” comprises an early step in the twelve-stage hero’s journey as envisioned by mythologist Joseph Campbell in his book, The Hero with a Thousand Faces. Phan-Lê uses this narrative technique to structure her book’s thirteen chapters. The method is effective. It provides a reliable story arc, guaranteeing that events proceed in a logical and anticipatable pattern. This is significant when considering Phan-Lê’s “ordeal” stage—the climactic eighth chapter, in which the hero is challenged in a near-death experience and undergoes a metaphorical rebirth. Phan-Lê’s test occurs when she succumbs to spirit possession, speaks in tongues, channels messages from the deities who enter her body, and falls unconscious. Even if the episode strikes readers as incredible or eccentric, its methodical presentation as an expected step of the journey protects it from seeming absurd or obscure. While the “mysteries of the metaphysical realms” may be a leap of faith for some, Phan-Lê does not beg for believers or try to win converts. She doesn’t need to: her story feels genuine, and her recitation of events is candid, clear, and unself-conscious. Moreover, she triumphs as an honest narrator when she pinpoints fakery, as in “the showmanship and staged feel of the [shaman’s divination] made me question the authenticity of spiritual integrity behind the events.” Phan-Lê’s prose is measured, concise, and unfussy, and she writes introspective and perceptible insights about connecting the experiences of her extraordinary journey to her ordinary life. Talking Story will appeal to readers with established interests in the healing arts, yet it would be unfair to limit its audience to this group. Phan-Lê’s intimate narrative and exploration of humankind’s vanishing cultures will intrigue and inform a wide readership.